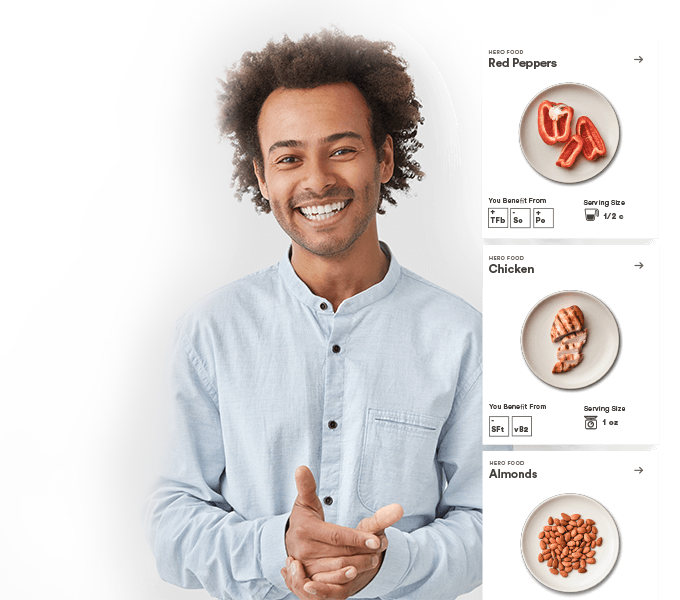 Our evidence-based recommendations look at your specific biomarkers, plus your activity level and weight goal, to understand the unique you. Learn how your body handles carbs, fat, protein, and more. Know right away where you're doing well and where you have opportunities to optimize your health with nutrition. It includes your ideal plate, daily food guide, top-ranked foods in each food group, and personalized recipes. Our app, designed by registered dietitians, helps you eat right at home and on the go. Get a clear view of which foods we recommend for you and why. See your recommended eating habits and easily start building them with guidance from the Habit app. Each week you’ll receive a selection of quick and easy recipes tailored for your unique needs. 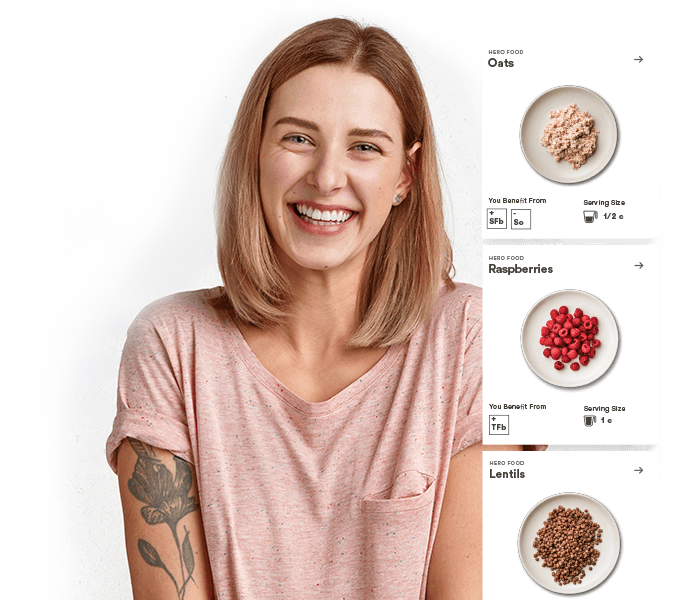 Habit integrates with Amazon Fresh* to make grocery shopping easier and with Fitbit® products to create a more complete picture of you.